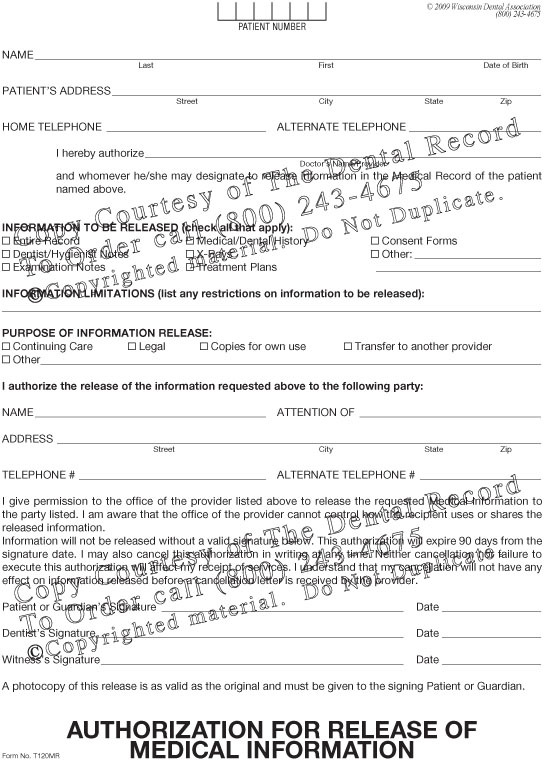 The Treatment Plan form allows for a written statement of the services that you plan to perform. It shows that you planned for the conditions you diagnosed, prioritized your treatment, and used a logical approach to providing treatment. 100 forms per tablet. Order 5 or more and receive 10% off. Order 10 or more and receive 15% off. This form allows for a written statement of the services that you plan to perform. You list your prescribed treatment and fees, as well as any alternative treatment and fees. You can then indicate which plan was agreed upon. If a patient is to be referred for treatment, that fact should be noted including instructions and the name of the dentist to whom the patient if referred. 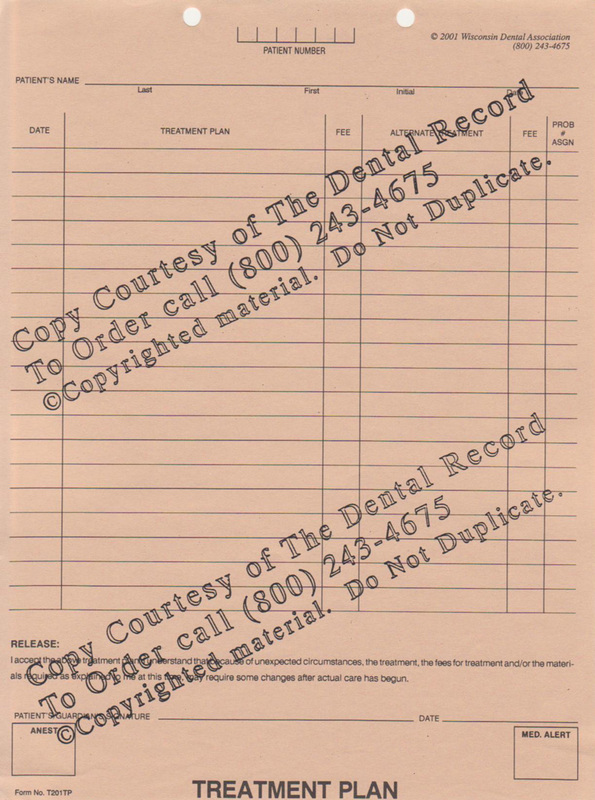 Tablets of 100 single-sided sheets, pre-punched and cut to fit.